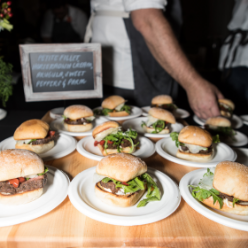 Prepare your taste buds for the return of the city's most anticipated culinary event of the year, Atlanta's Taste of the Nation for No Kid Hungry. Hosted by Honorary Chef Gunter Seeger, Award-Winning Chef of Michelin-Starred Gunter Seeger NY, and Honorary Chairs Chantal and Tommy Bagwell, the event will take place on Thursday, April 18th, at the Renaissance Atlanta Waverly Hotel & Convention Center. One-hundred percent of proceeds support the No Kid Hungry campaign to end childhood hunger in America.